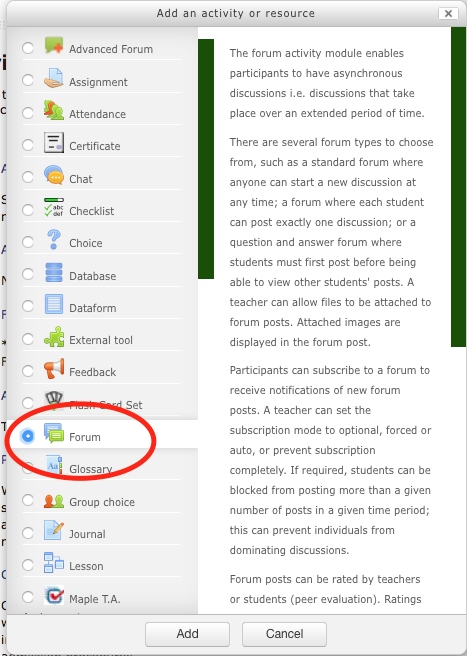 Moodle uses the term "Forum" for a Discussion Board. At one time in Moodle's past, there were compelling reasons to have a standard & an advanced forum. Those reasons are no longer significant enough to keep 2 different Forums. *Beginning in Fall 2017, VSC will no longer offer the Advanced Forum in Moodle. **It is strongly encouraged that Teachers use the Standard Forum in Spring 2017 to avoid losing your forum in the case of importing a class from S17 o F17. 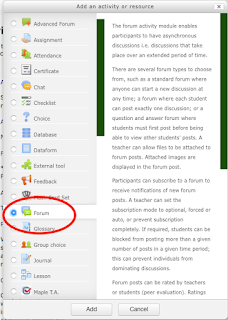 So moving forward, when you're looking to add the features of a discussion board-forum to your classes, please use the Standard Forum in Moodle!